Introducing the Efest LUC V6 digital charger. 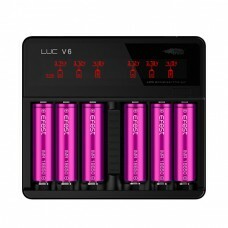 The Efest LUC V6 is a 6 slot lithium li- ion battery charger with adjustable outputs. 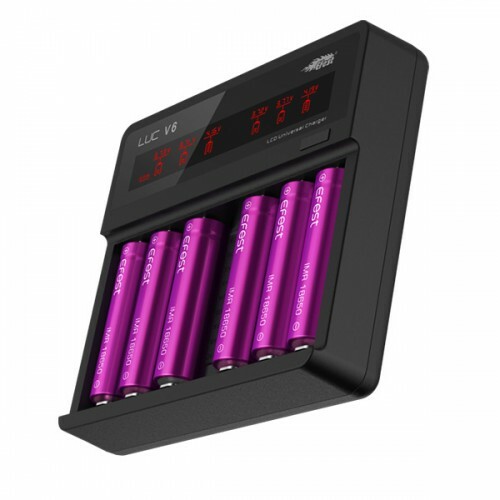 USB output allows the charger to act as a power bank to charge other USB devices with 1A output. 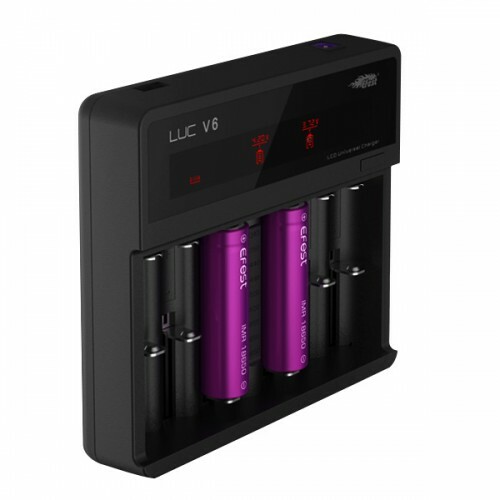 This charger is compatible with most types of cylindrical lithium batteries ranging in size from 10440 to 26650.